A man who allegedly stabbed a tow truck driver after the driver fatally hit his mother has been ordered to undergo psychiatric evaluation. The attack was caught on camera. 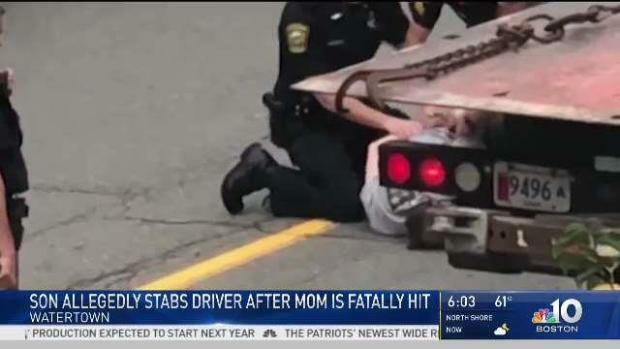 A Massachusetts man charged with stabbing a tow truck driver during a chaotic road rage confrontation that started when the driver allegedly struck and killed the suspect's mother with his vehicle, faced a judge on Thursday. In Waltham District Court, Philip Horner, 38, was ordered held without bail and to undergo a psychiatric evaluation at Bridgewater State Hospital, per the recommendation of a psychologist who said there were concerns of mental health issues following the incident on Wednesday. A not guilty plea was entered on Horner's behalf. Horner faces charges of armed assault with intent to murder, assault and battery with a dangerous weapon, and resisting arrest for stabbing a tow truck driver accused of striking his 68-year-old mother with his vehicle in Watertown. 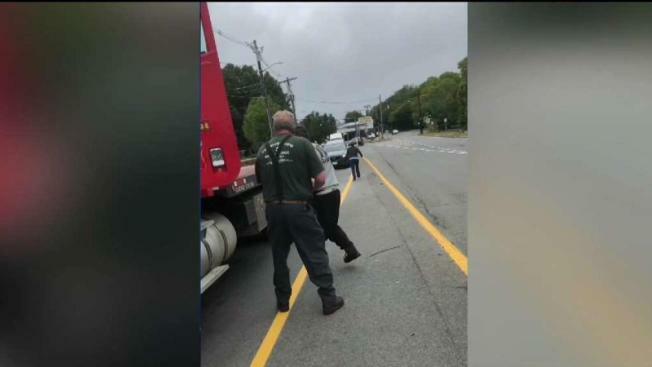 The Middlesex District Attorney's Office said police responded to a call around 11:20 a.m. Wednesday for a reported road rage incident underway on Watertown Street after a woman in her late 60s was struck by a flatbed tow truck. 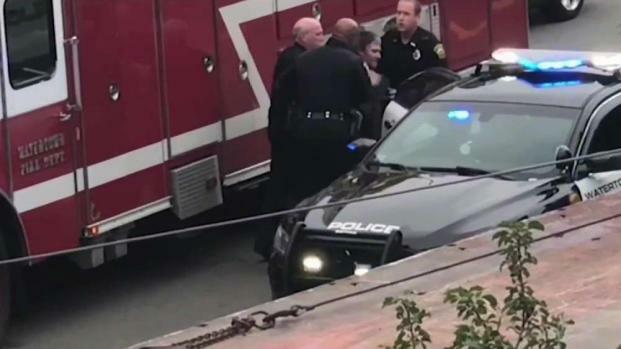 A Massachusetts man charged with stabbing a tow truck driver during a chaotic road rage confrontation that started when the driver allegedly struck and killed the suspect's mother has been ordered to undergo a psychiatric evaluation. The woman, since identified as Benita Horner, was pronounced dead at the scene. Immediately after the crash, authorities said Philip Horner became engaged in an altercation with the tow truck driver, stabbing him five times in the torso. In a police report, the driver was identified as 60-year-old Thomas Fogerty. Fogerty is currently in critical condition at a Boston hospital. In court, the psychologist said Horner had suicidal thoughts, a hard time speaking and was severely depressed. Horner also reportedly banged his head against a wall while in custody Wednesday night. 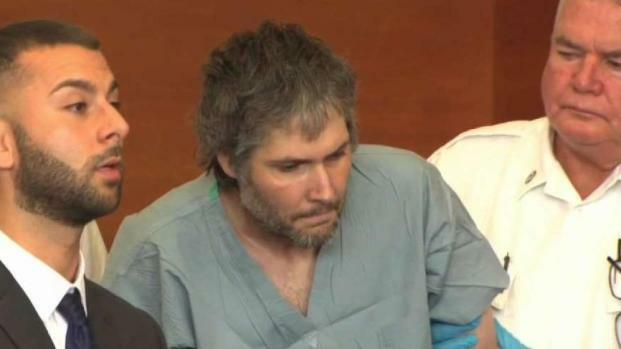 According to a police report, when officers arrived at the intersection of Watertown and California streets, Horner was screaming, "he ran over my mother, he ran over my mother," while holding a knife. The man climbed into the cab of the tow truck and stabbed the driver five times after his mom was hit and killed. "The driver was running for his life," Taha said. "I brought water and I brought rags. Yeah, a lot of rags, because they are bleeding a lot." According to the police report, Horner was ordered several times to drop the knife. Two officers were able to place him under arrest while he put up a struggle. Fogerty’s Towing, the company that owns the flatbed tow truck, said they were aware of the incident and are concerned for their driver. NBC10 Boston spoke with one of Benita Horner's neighbors who said she had concerns about her son's mental health. "She just said he's not getting the help that he needs. The bottom line that she always said, 'It takes time, it takes time,'" neighbor Anna Pizzuto said. Horner's arraignment is scheduled to take place Oct. 10, after his psychiatric evaluation. A newly-released video shows the aftermath of a deadly road rage confrontation in Watertown, Massachusetts.